AT THE outset, let me hasten to point out that the journey I am about to undertake through this opinion piece is aimed at outlining the rationale for radical economic transformation. It is an attempt to instigate dialogue that would enrich conversations as we meander through the stormy weather currently testing the efficacy of our economic structure. Winning nations are known to have robust, frank but informed dialogue about their future in any aspect of statehood. In South Africa we have many issues, but safe to say, we are all agreed the economic well-being of the state is at the heart of all patriots. What we know about this economy is that it has thus failed to make a meaningful improvement to the quality of life of the majority of the citizens who had been left marginalised by the apartheid economy. This clearly tells us that we have for the 20 years been bolstering poorly structured economy. While it appeared to be strong and effective under apartheid, it is because it was an illusion. It was a phantom that was based not only on a lie, but one that thrived on dishonesty and perpetually stealing from the majority and the poor to heap and pile the rewards and benefits for a minority. That is why every white South African is privileged, even those who today have slid into the abyss of poverty and are now fighting for survival on resources such as the government indigent grants with the majority black poor. While this article is precisely about that economy and its historical context, the intention is the diametric opposite. The intent of this article is to sharpen the debate on how quickly and effectively South Africa should begin engagement on the radical economic transformation the government has introduced in legislation, the national economic infrastructure and, to a large extent, dialogue. The article arises as an expression of concern that the captains of our industry are reluctant to engage on the very future of their assets and investment for fear of losing some of the peripheral benefits inherited from the apartheid economy. We are told that about R500 billion remain sitting in interest-bearing accounts of large corporations, instead of being reinvested in the economy. What the Black Business Council (BBC) has sought to achieve since its break-away from Business Unity South Africa three years ago, is to bring together the actors in the mainstream economy to begin to seriously reconsider the philosophical basis of this economic dispensation, whose central aim is to open the doors of opportunity to black participants at every level of the economy. Perhaps the white captains of industry are justified in their fear of the agenda of radical economic transformation and its emphasis on broad-based black economic empowerment (B-BBEE). This may be that in the past radical language and terminology was associated with the struggle for liberation in which black people used some of the strongest terminology with the eternal hope of scaring the pants off the system and white people who propped it up. Yet, there is no need to fear the present tone of voice in dialogue, especially on economic matters. Change in the economy is needed. All genuine analysts, experts and business leaders confirm that change is needed, and this sooner rather than later. For we need to integrate the economy one day without reference to black and white, but the first step to accelerate transformation is through inclusive growth: one country, one economy! White industry captains are not alone in their unwarranted need to protect their gains. They are in the good company of some of the earlier BEE beneficiaries, who continue to deny that they are beneficiaries of BEE or even affirmative action. Those in denial do so because they have been co-opted into the white kraal, where, perhaps they have every right to belong, which is a great pity because we need to demonstrate these successes to celebrate those policies of the government that continue to make a difference and bolster the confidence of aspirant entrepreneurs. As this article is not about the quagmire in which are found intransigent white captains of industry and others of their colleagues who are true patriots of the new democracy as well as the confused, co-opted blacks and their collective lack of understanding and appreciation of the need for radical economic transformation, less must be said about them. This conversation is about extolling the virtues of a nation that supports and builds its unified destiny around a programme such as the radical economic transformation promoted by the government, the BBC and allied organisations. The government has done a lot in publicly declaring its goals in promoting radical economic transformation. However, it is failing in this regard. It will continue to fail because it is trying to manage the apartheid economy without the involvement of the architects of this abomination. Therefore, this is an unambiguous appeal and clarion call to white business to bring their lot to the table in a very genuine fashion. This mammoth task needs every South African and every player in this economy to play a meaningful part. What is clear is that the philosophical mantra driving the economy must change. It has to be a philosophy, akin to Black Consciousness, which focuses on uplifting the downtrodden of our economy. As we do so we must balance our national goal of upwardly driving economic growth on the one hand, while on the other actively eradicate inequalities and attain inclusive growth. The prospects for economic transformation will be diminished unless as black people we rise above our individual positions and re-define the relationship among us and share the burden of struggle towards total economic emancipation. As black people, the success of our economic struggle means we must continue to create democratic institutions that we dominate for selfish interest, but never for self-interest. It means the umbilical cord that binds us must permeate beyond our institutions but must bleed our influence into other institutions representing what looks like the rainbow nation. For, the rainbow can never be defined as complete unless its colours include an equitable spread of our national pigmentations. After 21 years of freedom, it is quite clear that the wheels of economic transformation, particularly in the private sector, are fast halting. While the majority of the public service share the ideals and philosophy of economic transformation as espoused by the ruling party, there is also an ideological danger creeping within a few in the public sector if we are not careful. There is an evident lack of ideology and philosophy among some of our own, sometimes out of ignorance but largely out of self-hate. Equally there is an abundant feeling of entitlement among some of the black-owned businesses, driven by individuals that are propelled by self-importance, whose blackness seem to shine better than that of the majority. We have to deal with these problems and weaknesses in our own backyard if we are to flourish as a nation, and we should talk about these openly so as to redeem ourselves of the trappings of a new democratic state. One cannot but single out one son of the soil who remained true to his humble beginnings and did not get trapped in the shackles of fortune and opulence. Such is the nature of the self-made African Rainbow Minerals’ chairman Patrice Motsepe whose philanthropy is unmatched, black or white. 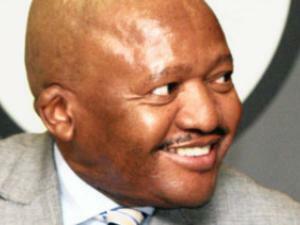 For the immense contribution that Patrice and his family makes through the Motsepe Foundation should be headline news. As is tradition, the firm’s B-BBEEE trust converges each year to distribute millions of rands to rural communities and religious bodies of all races and persuasions that are shareholders of the company. November 18 2014 was no different, there were no less than 90 traditional leaders representing every single ethnic group you can think of, including King Goodwill Zwelithini, Kgosi Mampuru, Chief Nkululeko Dalindyebo, Hosi Tshivhase, to mention but a few. These leaders represent more than 70 percent of South African communities, mostly rural. The dividends paid out to these communities excludes the number of developmental projects that the company continues to champion in support of socio-economic development in these communities. Religious organisations of all persuasions also benefited, including the Greek Orthodox Church, Dutch Reform, ZCC to quote but a few out of over 30 churches. Now that is what a radically transformed economy can deliver, dividends for everybody. Article by Xolani Qubeka, this article was first published by Business report, http://www.iol.co.za.